Whether it’s the sink, shower or toilet, a blocked drain can be a nightmare. But you can do your part to help avoid blockages by taking care of your drains. We’ve got a few simple dos and don’ts to help you out. Drain blockages can be caused by a whole lot of different things, and here at Drains Plus, clearing them out is what we do best. From the common cloggers like roots and leaves, to the unexpected blockers, like toys and snakes, we have certainly seen and cleared them all. The best way to prevent blockages and clogs is by being cautious about what you put down the drain, the sink, the toilet and the pipes. Our dos and don’ts come from the Drains Plus brains trust, built up over years and years of experience problem solving the most common and the most mysterious blockages. Our expertise will help you to help keep your drains running smoothly, so let’s dive in. Do. Clean the drains with hot water. Let’s be honest, sometimes we all pour things down the drain that we know we shouldn’t. Oils and cooking fats are a common one. If you can dispose of them responsibly, please do. But when you can’t, make sure you run some hot water down the drain straight after. Hot water will help the oils run through the drain quicker and easier, hopefully preventing too much of it from sticking around to build up into serious blockages. Do. Use a sink strainer. It’s quick, it’s easy, it can often be forgotten, but it will prevent most of your food scraps and solids from going down the drain. A strainer will catch food and other particles from slipping into the pipes, and all you have to do is take it out and put the remnants into the bin. Easy. Do. Use a lint catcher. A common cause of blockages in the laundry is lint from your clothing. Make use of the lint catcher in your machine and make sure you clean it out regularly, so that it can be doing its job properly, and helping you save your drains. Don’t. Throw everything down the drain. Just because it’s liquid, or it might be small enough to fit down there, that doesn’t mean it should go down the drain. Grease, food scraps, hair and soap are big enemies to your drains. When they’re all in there together they can congeal, and build on each other and create a mass in the pipes that just won’t budge, causing a blockage. When that happens, you’ll have to call us in to deal. Don’t. Attempt to clear blockages with chemicals. 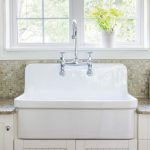 If you suspect that you might have a blockage, and hot water doesn’t seem to clear it, don’t start pouring chemicals down the drain. Certain chemicals may dissolve the waste, but they may also break down the pipes themselves. You don’t want to risk damaging the pipes; they can be costly to replace. …and waste, of course. Hygiene products, paper towels, and tissues do not belong down the loo. The density of multi-ply products is difficult to break down, causing them to get stuck in the pipes. Be sure to bin them instead. When in doubt about your drains, and when you have a definite problem, call your drain experts. That’s us! Drains Plus are equipped with the knowledge, experience, and equipment to clear any drain blockage. Call us out on 1800 420 000.